Apparently my MIG-100 was all original. The plastic standby switch finally broke a few weeks ago, and I took it to Matt Weed of Atomium Amplification to replace both (the power switch was three-way for some reason). Here is what Matt has to say about them in his post. Sovtek Mig-100, all original except for the new power/standby toggle switches I installed (the plastic originals are awful and break all the time). Not exactly a Marshall 2203 but very close. 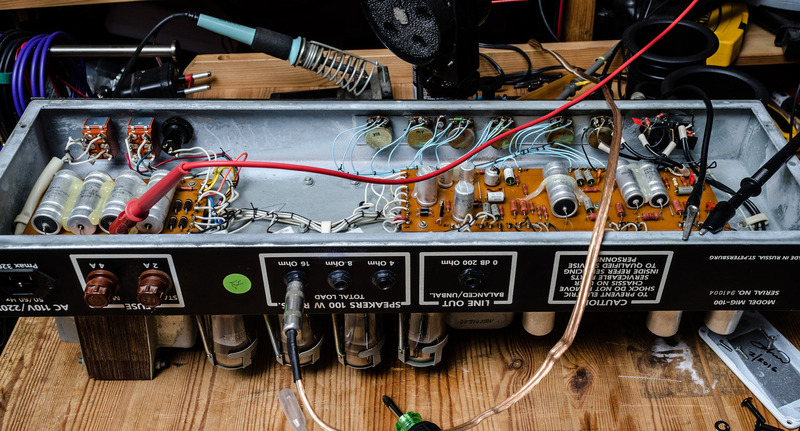 The distinctive sound of these amps mostly comes from the circuit tweaks Sovtek made to get more reliable operation from Russian military tetrodes – 2.2k screen resistors, for example, to limit screen dissipation. The B+ is 520V! 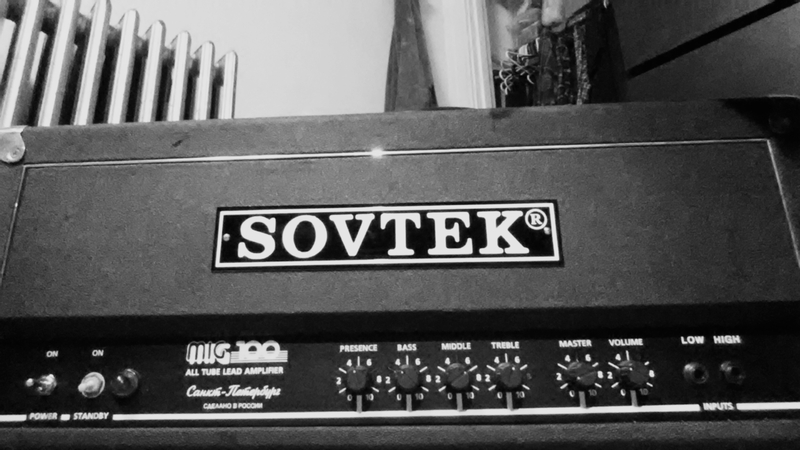 I love this amp, it’s loud, sounds great, and takes pedals well. Easily my favorite amp. Last weekend Catharsis played a few shows in Europe. We made arrangements to borrow amps, so here’s a rundown of what I used. Originally I was planning to bring a small pedalboard with a tuner, overdrive, and distortion pedal, but that was too much to fit in my backpack. I took my distortion pedal and a Snark clip-on tuner instead. I was excited to see this on stage when we got to the venue. I used the clean channel (channel 1) and it didn’t sound so good. The distortion was a little too gritty. Thinking back, I should have tried cleaning up the dirty channel and using my distortion pedal as a boost. Lesson learned. 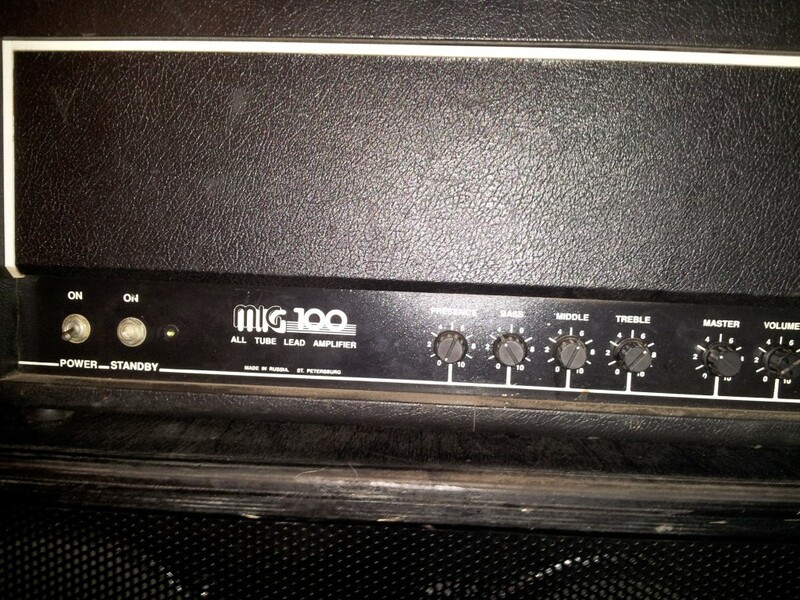 I was intimidated by this amp. Too many knobs, switches, and options for my liking. But we had almost an hour to set up and line-check so I took my time and explored the amp. I ended up using channel 3, which is a high-gain channel, but I turned the gain as low as possible, using my pedal as a boost. The cleans weren’t very clean, but it was okay. 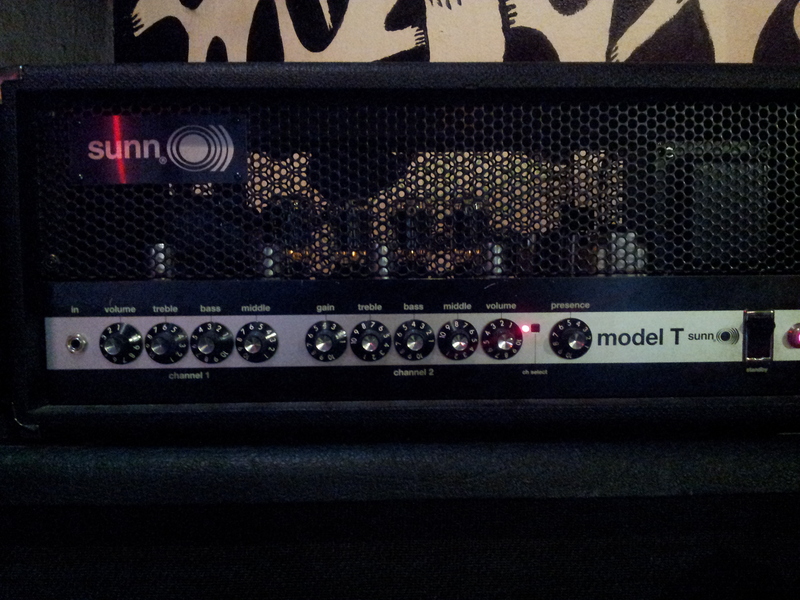 This amp sounded way better than the Sunn. Would you believe I forgot take a picture of this classic amp? Sound-wise, meh… It wasn’t terrible, but it wasn’t what I expected. It sounded good, but I think my issues were with the room; concrete floor, metal walls and ceiling. There was a weird boomy mid-range to everything, and I had trouble controlling feedback. EDIT: Someone posted surprisingly good video footage so you can hear (and see) it in action. 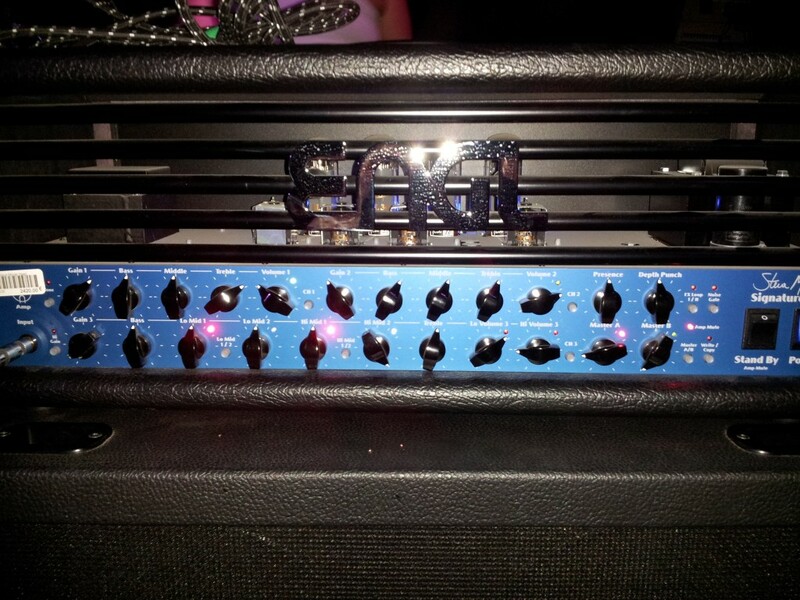 This amp ruled! It sounded great, and was plenty loud. No uncontrollable squeally feedback. I was so impressed, I’m seriously considering buying one (after selling one of my current amps, of course).